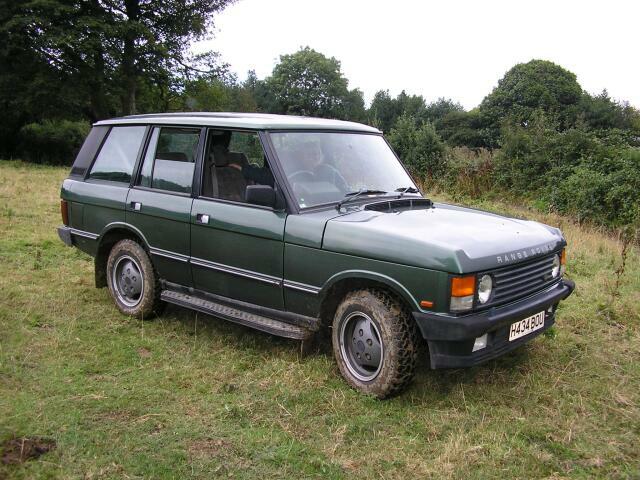 After weeks of badgering people for content, (thanks Chris, and Byron, Nigel don’t think that I have forgotten) I figure that it is about time that I start practising what I preach and trying to write up the history of Shrek the rangie. Shrek was a commercial write off because he had had a serious fire in the rear of the passenger compartment. This had written off the rear seats and carpet, headlining (all rangies of this age have saggy headlining anyway) the rear screen was perspex!? and the rear quarterlight window had gone along with the rear offside door window. On the plus side, the engine started first time when a battery was put on it, with no camshaft noise and the autobox worked very well, with low range being selectable. The damaged rear screen was a nightmare, or so I thought, but on inspection the rear screen framework was a brand new aliminium number, so I got very lucky there. As anyone who has run rangies before will know the tailgate is a major source of rot. This was actually good news for shrek as he has a lovely ali frame, just needed to get a rear screen to go in the back. £10 managed to see me with a rotten frame, (just pulled the metal off the glass, not kidding) and so I set about silicone sealing the new glass into my good ali frame. Anyone who is wondering about that, just go ahead and do it, it’s really easy just don’t use as much silicone as i did, took me yonks to clean it off. So, having replaced the headlining and all the glasswork, and obtained some new rear seats. (how quick this all is to write, took me about a month) Shrek headed off for his MOT. After we managed to get through the MOT, I was then looking for somewhere to go and play offroad with my new toy. I managed to find Spondon and District Off Road Club on the MSN groups site. After succeeding in a brief chat with Trev I managed to get to Shottle for my first event with the club. Anyone wh remembers that first time out will also remember that it was pretty wet in the morning and that I was slithering round like I was on wet grass OH, thats right I was, but Shrek had some new tracker tyres given to him by Shrek the Bloke, and we were in business for the next time out. Ok I promised more of a write up, so here is the second installment. Things stayed pretty static for a while, while I was enjoying my new technic trekker tyres, which were much better than the AT’s that were fitted previously. After being winched out by Daz at holymoorside at least eight times in one day, I decided that i definitely needed a winch for the front of the Green fat boy. I started reading up on winches for fitting to Shrek. I bought an electric No brand winch off eblag for £110 cos the bloke was advertising it in the wrong section. This also meant that i had to buy a winch bumper, (or make one and I didn’t have the time). 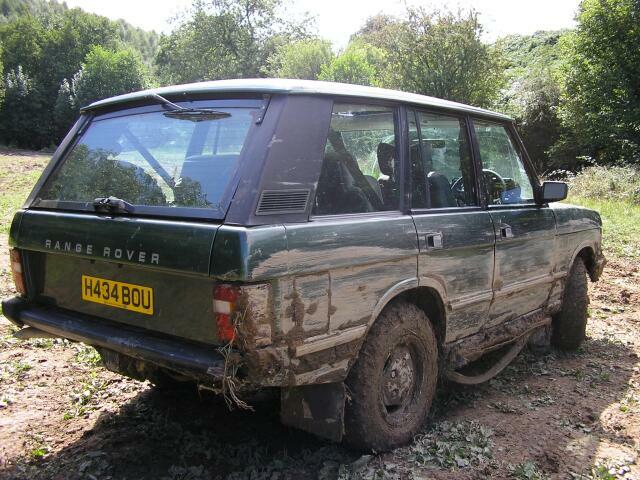 A discovery winch bumper fitted the bill for the front. Bits of the rangie wing stick down below the discovery winch bumper, and I’ll cut them off if they ever get caught but this far they never have. Now, I am a tight fisted sod, and if I spend my money on a winch, I wanted it to last for more than the 5 mins that the electric winch lasted for. I recognise that I probably bought a lump of cheap tat, but I fell out with electric winches further when I did some research into how long they last i.e. not very long.